We all know how Pujya Gurudevshri Rakeshbhai Jhaveri has inspired many people from all over the world. 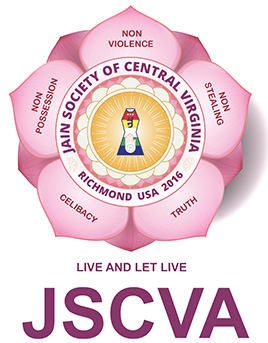 Join us at JAINA Convention 2019 to hear more from Gurudevshri. 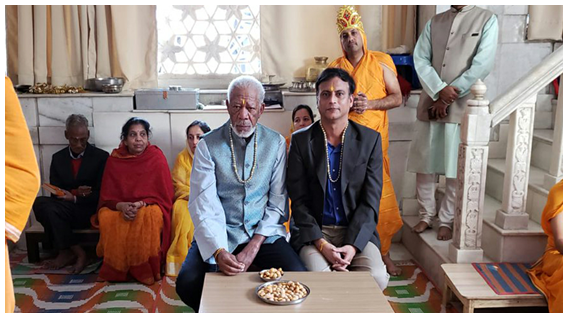 In an upcoming season of "The Story of God with Mr. Morgan Freeman", they have featured Mr. Freeman performing the ritual at the Jain temple in Kathmandu, Nepal. To watch the episode, please note the show details given below. Jain Center of Central Virginia cordially invites you to Pratishtha Mahotsav of their new Shikharbandh Shree Shankheshwar Parshwanath Jain Derasar. More details are below. The non-vigilant has fear from all directions. The vigilant has none from any. Q 1: How many subtypes are of the Antaraya karma? Q 2: How many subtypes are of the Ayusya karma? 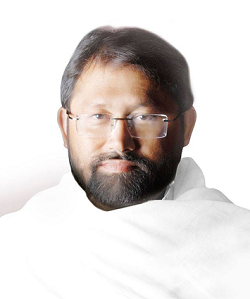 Pujya Gurudevshri Rakeshbhai Jhaveri has inspired many people from all over the world with the simple message “Realize one's true self and serve others selflessly.” Pujya Gurudevshri’s discourses, stemming from his profound self-experience and numerous other spiritual activities are propelling forces that empowered seekers to progress on the path of liberation. Join us at JAINA to hear more from Gurudevshri and be inspired to take the next step on your path. Register today! The Story of God with Morgan Freeman, a documentary series, had started on the National Geographic Channel in April 2016. The series features actor Morgan Freeman who visits various countries across the world to experience various cultures and interview scholars and practitioners of various religions. The second season was out in January 2017. Both first and second seasons are now available on Netflix. North America Channels for National Geographic are as follows. On DirecTV, Channel 276 (HD/SD) and Channel 1276 (VOD). On Dish Network, Channel 197 and Channel 9429. On DigitAlb, Channel 75 (HD), on Spectrum, channel 38, and on Frontier, channel 121/621 HD. Jain Center of Central Virginia cordially invites you to Pratishtha Mahotsav of New Shikharbandh Shree Shankheshwar Parshwanath Jain Derasar on June 12 - 16, 2019. For more information, please click here. A 1: There are five sub-types of Antaray Karma. A 2: There are four sub-types of Ayushya Karma.